The micronutrient composition of complementary foods produced from blends of cereal (millet/maize), soybean and monkey kola flours were evaluated. Seven millet-based blends (A1 to G1) and maizebased blends (A2 to G2) were analyzed for total carotene content. Thereafter, 100% millet, 100% maize, the two millet and maize based blends that had the highest carotene content were analyzed for total minerals (Ca, Mg, P, Fe, and Zn) and their bio-availability comparing with a commercially available complementary product (cerelac maize) which served as control. The total carotene content of the test samples ranged from 27.69 to 164.58μg/100g in the milletbased blends and from 233.61 to 464.48μg/100g in the maize-based blends. Sample G1 and all the maize-based blends were found to be higher in total carotene when compared to the control. Total mineral content result showed that calcium ranged from 91.09 to 121.59mg/100g and their bioavailability ranged from 44.14 to 67.96% while the control had a total calcium content of 337.15mg/100g and a bio-availability of 58.92%. Magnesium in the test samples ranged from 10.44 to 12.29mg/100g and bio-availability of 82.56 to 99.33% while the control was found to be 11.18mg/100g and a bioavailability of 87.65%. Phosphorous was from 7.32 to 17.12mg/100g and bio-availability was from 54.48 to 81.43% but the control had 17.12mg/100g and a bio-availability of 61.35%. Iron had a range of 9.31 to 26.27mg/100g and bio-availability from 8.19 to 64.81%, whereas the control had 27.74mg/100g and a bio-availability of 51.47%. Zinc from 1.85 to 6.27mg/100g and bio-availability of 51.62 to 74.71% while C3 had 3.93mg/100g and a bio-availability of 42.86%. This means that complementary foods from blends of cereal, soybean and monkey kola flours compared with commercially available complementary products and are suitable to improve the micronutrient intake of infant and young children in developing countries. Keywords: Complementary foods,micronutrient, cereal, millet, maize, monkey kola. 1. Adeyeye EI and Agesin OO (2007). Dehulling the African yam bean (Sphenostylis stenocarpa Hochst. ex A. Rich) seeds: any nutritional importance? Note I. Bangladesh Journal of Scientific and Industrial Research, 42(2), 163-174. 2. AOAC (2012). Association of Official Analytical Chemicals. Official Method of Analysis of the AOAC 20th Ed , Washington; D.C.
3. Barber LI, Obinna-Echem PC and Ogburia EM (2017). Proximate composition micronutrient and sensory properties of complementary food formulated from fermented maize, soybeans and carrot flours. Sky foods Science, 6(3), 033-039. 4. Berdanier CD and Zempleni J (2009). Advanced Nutrition: Macronutrients and Micronutrients Metabolism, London, CRC Press. 5. Chauhan BM and Mahjan H (1988). Effec of natural fermentation on extractability of minerals from pearl millet flour. Journal of food Science, 53, 1576-1577. 6. Eneobong HN, Okudo HO and Asumugha VU (2016). Nutrient and phytochemical composition of two varieties of monkey kola (Cola pachycharpa, Cola lepidota): An underutilized fruit. Journal of food chemistry, 193, 154-159. 7. Fabbri ADT and Crosby GA (2015). A review of the impact of preparation and cooking on the nutritional quality of vegetables and legumes. International Journal of Gastronomy and Food Science, 3, 2-11. 8. FAO/WHO (1998). Preparation and use of Food-Based Dietary Guidelines. A report of a Joint FAO/WHO Consultation. WHO Technical Report Series 880 Geneva. 9. FAO/WHO/UNU (2007). Protein and Amino acid Requirements in Human Nutrition: Report on a Joint FAO/WHO/UNU Expert Consultation. World Health Organ Tech Rep Ser 2007; 935, 1-265. 10. FMOH (1999). Federal Ministry of Health. Food-Based Dietary Guidelines for Nigeria. Nutrition Division, Abuja. 11. Harboune JB (1973). Phytochemical Methods: A Guide to Modern Technique of Plants Analysis. Chapman and Hall: London. pp 60-64. 12. Kanu JK, Sandy EH and Kandeh BAJ (2009). 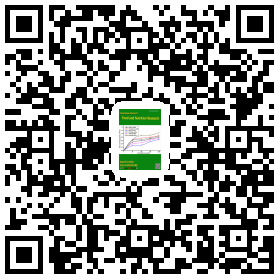 Production and evaluation of breakfast cereal-based porridge mixed with sesame and pigeon peas for adults. Pakistan Journal of Nutrition, 8 (9), 1335-1343. 13. Kiin-Kabari DB, Osemene-Onwochei AG and Akusu MO (2018). Chemical and sensory evaluation of cereal-based complementary foods supplemented with soybean and monkey kola. Asian Food Science Journal, 5 (2), 1-10. 14. Nwosu OIC, Nnam NN, Ibeziako N and Maduforo AN (2014). Development and nutritional evaluation of infant complementary food from maize (Zea Mays), soybean (Glycine Max) and Moringa Oleifera leaves. International Journal of Nutrition and Food Science, 3(4), 290-299. 15. Oghbaei M, Prakash J and Yildiz F (2016). Effect of primary processing of cereals and legumes on its nutritional quality: a comprehensive review. Cogent Food and Agriculture, 2(1), 1-29. Doi: 10.1080/23311932.2015.1136015. 16. Okudu HO, Ene-obong HN, Aumugha VU and Umoh EJ (2016). Evaluation of the nutrient and phytochemical composition of Two Varieties of monkey kola membrane (Cola parchycarpa and Cola lepidota). 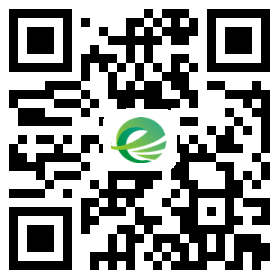 Direct Research Journal of Agriculture and Food Science, 4(11), 320-325. 17. Onabanjo OO, Akinyemi CO and Agbon CA (2009). Characteristics of complementary foods produced from sorghum, sesame, carrot and crayfish. Journal of Natural Sciences, Engineering and Technology, 8(1), 71-83. 18. Solomon NW (2000). Plant based diets are traditional in developing countries: 21st century challenges for better nutrition health. Asia Pacific Journal of Clinical Nutrition, 1, 41-54. 19. Swaminathan R (2003). Magnesium metabolism and its disorders. Clinical Biochemical Review, 24(2), 47-66. 20. UNICEF Nigeria (2006). UNICEF Information Fact Sheet on Nutrition. Abuja Nigeria. 21. United States Department of Agriculture (2009). Nutritional Needs of Infants Dietary Reference Intakes (DRIs). Infant Nutrition and Feeding. pp 11-40.